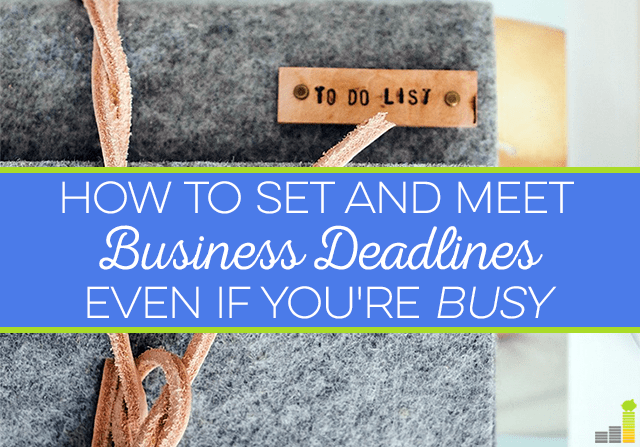 When you run a business or work for someone else’s business, deadlines are crucial. Businesses often work with clients and customers who expect certain things by certain dates, but when you’re busy it can get very hectic. So, how do you set deadlines and keep everyone happy? Since I work with deadlines every day (I have 52 posts to write on my schedule for July), I’ve learned a thing or two about keeping clients happy and making sure my deadlines are seamless and don’t stress me out too much. 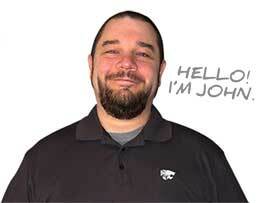 When I first started working for myself, I agreed to any deadline that a client gave me. I wanted to be so reliable and so great and do anything my clients wanted, but that often meant that I stayed up until 1 or 2 in the morning every morning to get things done. The same rule applies if your boss wants a certain project due at a certain time. When you first start working, you might want to be known as the person who is extremely reliable and always delivers on time, but I’m going to tell you something important: don’t try to be the hero. You don’t want to be the abused person at your work who is the only one staying late and working hard. And, if your’e self-employed, you don’t want to overwork yourself and get completely overwhelmed. You have to let your boss or your clients know when the deadlines they want aren’t realistic. Remind them that you strive for quality and that if you have the proper amount of time to complete your work, the product will be top notch and not rushed. I mix in harder tasks with easier ones every day, and I find that works best for me. I’ve been doing this for years, even when I was in college, and I think it helps you to feel successful about your day. When you get smaller tasks done, you can cross them off your list, and when they are balanced with one larger, more difficult task, you can build up momentum to get everything on your list done. For example, I wouldn’t put three deadlines on the same day for posts that require tons of research and statistics. Instead, I mix in harder work with lighter work to try to avoid burnout. If you have a lot of things on your plate, don’t try to jam pack every minute of your day. On the days when I have several deadlines at once, I can get overwhelmed just looking at my list. 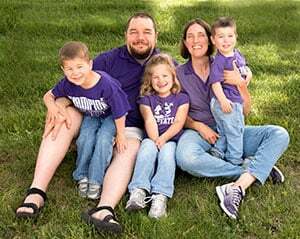 When I build in breaks, like actually taking a lunch break, stepping out my office to hug my twins, and taking my dog out for a few minutes, I feel refreshed. I’ll even take breaks sometimes to make my bed, fold some clothes, or watch a YouTube clip of something funny. This is especially important if you don’t have an office and work from your couch, dining room table or bedroom. Wherever your “office” is, you want to make sure you step away from it and give yourself breaks every day to avoid burnout. You have to break up your day or else your deadlines will seem overwhelming and you’ll start to resent your work. The best way to meet all your deadlines is to take care of yourself and your clients at the same time. That means not overstuffing your calendar, being realistic, and ensuring your work days have a good mix of tasks and breaks so that everything gets done and your clients stay happy. 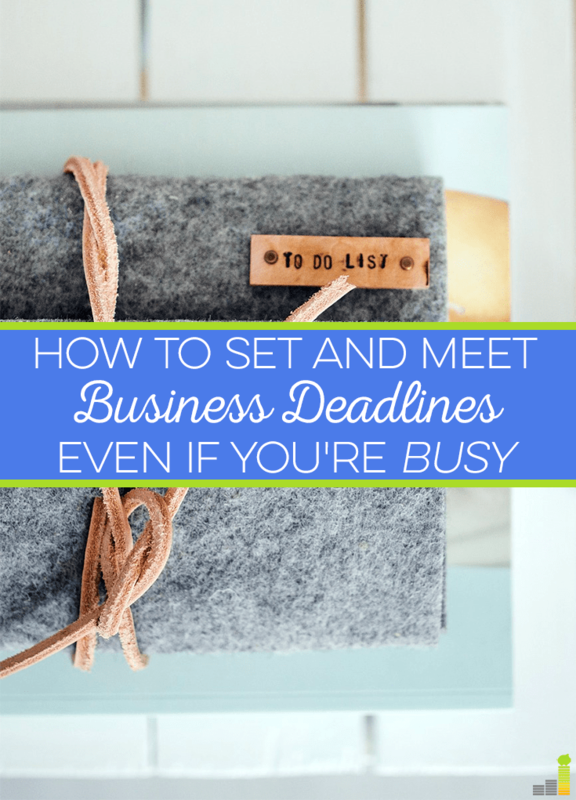 How do you ensure you meet all of your business deadlines? What do you do to avoid burnout yet still be effective at the same time? What’s your favorite thing to build in for a break to keep you going? I don’t have business deadlines, but I do something similar to your limiting deadlines on a specific day. I have chronic fatigue and am a depressive. I get overwhelmed easily, and once I feel overwhelmed, by ability to function and get anything done is compromised. Instead, I set myself one to two goals a day. Could be something as simple as make a necessary phone call to set an appointment. But it helps me actually get things accomplished. And sometimes you feel so good after getting your one major task done that you’ll tackle two or three more. Even if you don’t, you make steady progress on ticking things off the to-do list. I totally agree with you about how getting things done makes you want to get more done. I am like that with cleaning too. Once one room looks good, I want them all to look good! My problem is being too ambitious with my goals and deadlines. I always try to add that one extra project or cut the turnaround time down by one more day. It’s definitely best to be realistic and set your goals accordingly. I hear ya. It can be really hard. I used to do the same thing until I almost had a nervous breakdown. Slow and steady wins the race! A lot of times at work I don’t have any flexibility with deadlines (i.e., this document has to be filed today or we will miss a statutory deadline and commit legal malpractice) and I’m often given short notice from my bosses. When I can help it, I try to do what you recommend and balance bigger tasks with smaller ones to avoid overwhelm. It makes a huge difference in my stress and productivity levels! Ah that can be tough when you boss throws deadlines at you last minute. Stressful! I am someone who definitely needs to build in breaks, otherwise I get burnt out and rather than taking quick built in breaks here and there, I will take all day breaks and not get anything accomplished. Typically after I finish a big project or a series of small tasks, I allow myself some time to do something fun or mindless like check Facebook or watch a clip from Jimmy Fallon. Once I get that out of my system, I am usually ready to be productive again.